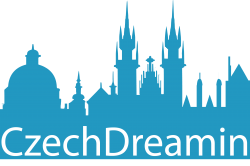 It is here, we are looking for some super awesome content for the first technical conference about Salesforce in the Czech Republic! deadline: Tuesday April 23rd, 5pm CET, feel free to submit more sessions! There is no way you can bribe us, also there are no sessions given to sponsors as part of their package. We will review every single session and decide whether it might be interesting for the audience and fit the overall program. As everywhere else – as we hope they do it – the details will be anonymised before provided to jury. 5 people will then decide based on several criteria on how many points each session should get. After that we will order them in descending order and will see whether the resulting idea make sense, whether we aren’t focused on just one topic, whether there aren’t any non-sense or just one speaker speaking the whole time. And then we will get back to you to confirm you interest. We might ask you to give us a short presentation as well as to do a dry run with you a few weeks before the conference. After all we all want to deliver the best experience for attendees, right? Thank you for your abstract – if you submitted one. Sorry, we closed the call – if you didn’t submit one. We will get in touch in about two weeks with everyone submitted a session, thank you for your time!